Reading and share top 20 famous quotes and sayings about September 11 2001 by famous authors and people. 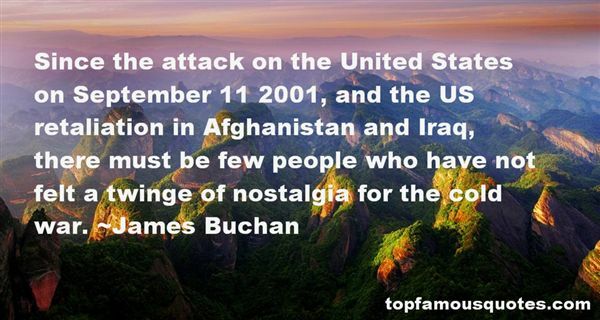 Browse top 20 famous quotes and sayings about September 11 2001 by most favorite authors. 1. 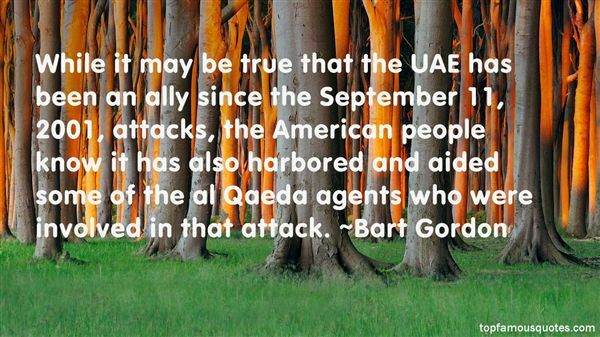 "While it may be true that the UAE has been an ally since the September 11, 2001, attacks, the American people know it has also harbored and aided some of the al Qaeda agents who were involved in that attack." 2. "Legislation passed in the aftermath of September 11, 2001 enhanced our intelligence capabilities and strengthened our national defense, but until now our nation's immigration policies have not adapted to the needs of a post-September 11th world." 4. "Certainly, the murder of civilians for political statement did not just begin on September 11, 2001." 5. "In some ways, September 11, 2001, seems a long time ago. Yet we have done so much in only a few years, and we will continue to do so in the future, to prevent such attacks on America." 6. "September 11, 2001, revealed heroism in ordinary people who might have gone through their lives never called upon to demonstrate the extent of their courage." 7. "I was just about to begin writing 'Mirror Mirror', within about a week of it, when September 11, 2001 happened. I found myself incapable of caring about fiction-making for a number of months." 8. "Since the attack on the United States on September 11 2001, and the US retaliation in Afghanistan and Iraq, there must be few people who have not felt a twinge of nostalgia for the cold war." 9. "This resolution is further proof that Congress stands firmly behind our troops and remains resolved to pursue those responsible for the terrorist attacks of September 11, 2001, until they are discovered, detained, and punished." 10. "If the events of September 11, 2001, have proven anything, it's that the terrorists can attack us, but they can't take away what makes us American -- our freedom, our liberty, our civil rights. No, only Attorney General John Ashcroft can do that." 11. "Since September 11, 2001, the powerful coalition of nations, led by the United States, has seen many successes against al-Qaeda and other terrorist groups. It is imperative that we remain united and steadfast in the quest to defeat terrorism around the world." 12. 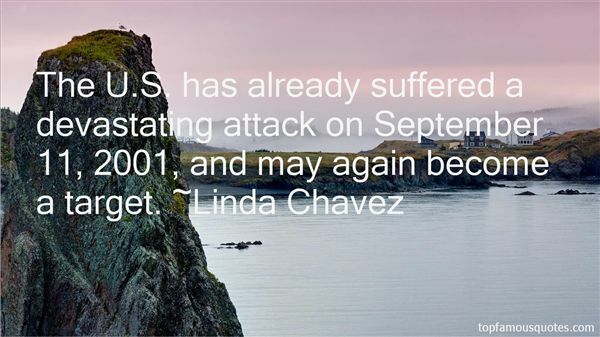 "The U.S. has already suffered a devastating attack on September 11, 2001, and may again become a target." 13. "That day, my first day on the job, was September 11, 2001! I was actually being recognized by Switzerland the very day that the World Trade Center was hit." 14. "If the first decade of the 21st century can be summarized in one scene, It will definitely be the collision of the two planes into the twin towers of the World Trade Center (New York) September 11, 2001, the scene represents the collision of the «mentality of the 7th century» that uses the «products of modernity» to attack modernity itself, in the 21st century within the heart of the city that is the capital of the modern world.?? ???? ????? ????? ????? ?? ????? ?????? ? ??????? ?? ???? ????? ????? ??? ????? ???? ?????? ????????? ????? ???? ??????? ??????? ?? (???????) 11 ?????? 2001? ???? ???? ????? ????? ????? ?????? ???? ?????? ?????? ??????? ?????? ????? ?? ????? ?????? ? ??????? ?? ??? ????? ?? ????? ?????? ???????." 15. "But through world wars and a Great Depression, through painful social upheaval and a Cold War, and now through the attacks of September 11, 2001, our Nation has indeed survived." 16. "The killing of Americans and their civilian and military allies is a religious duty for each and every Muslim... We--with God's help--call on every Muslim who believes in God and wishes to be rewarded to comply with God's order to kill Americans and plunder their money whenever and wherever they find it. [The September 11th attack] gave a harsh lesson to these arrogant peoples, for whom freedom is but for the white race... God willing, America's end is near. (bin Laden's appeal to Muslims in a video tape from fall 2001)"
17. "It was Osama bin Laden and al-Qaeda who attacked the U.S. on September 11, 2001, not Saddam Hussein and Iraq." 18. "Here's a little thought experiment. Imagine that, on September 11, 2001, when the Twin Towers came down, the President of the United States was not George W. Bush, but Ann Coulter. What would have happened then? On September 12, President Coulter would have ordered the US military forces to drop 35 nuclear bombs throughout the Middle East, killing all of our actual and potential enemy combatants, and their wives and children. On September 13, the war would have been over and won, without a single American life lost." 19. "Mr. Speaker, on September 11, 2001, the United States was attacked, and Britain stood with us. This was not only an attack against America, but against the civilized world; and Britain understood this." 20. "For twenty years, Islamic Jihadists have been attacking American interests around the world and we did not take them seriously until September 11th, 2001."